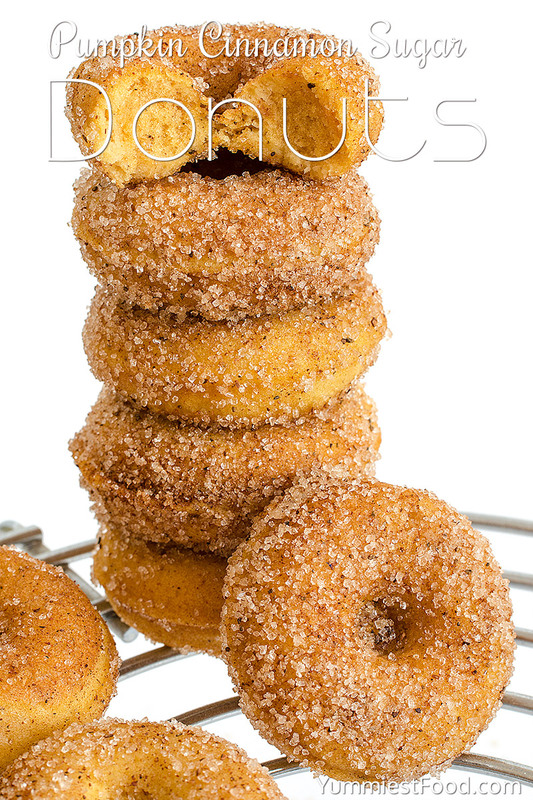 Pumpkin cinnamon sugar donuts, perfectly soft, very easy.. When I talk about Pumpkins I must say that Pumpkins are very good ingredient for combination with other ingredients. Some of Pumpkins you can eat without baking, some of them you can bake, cook or grill. You combine them with meat or without depend on taste. You can bake it in the oven with little bit of seasons and that’s it! All of us who love cooking love to try something new. 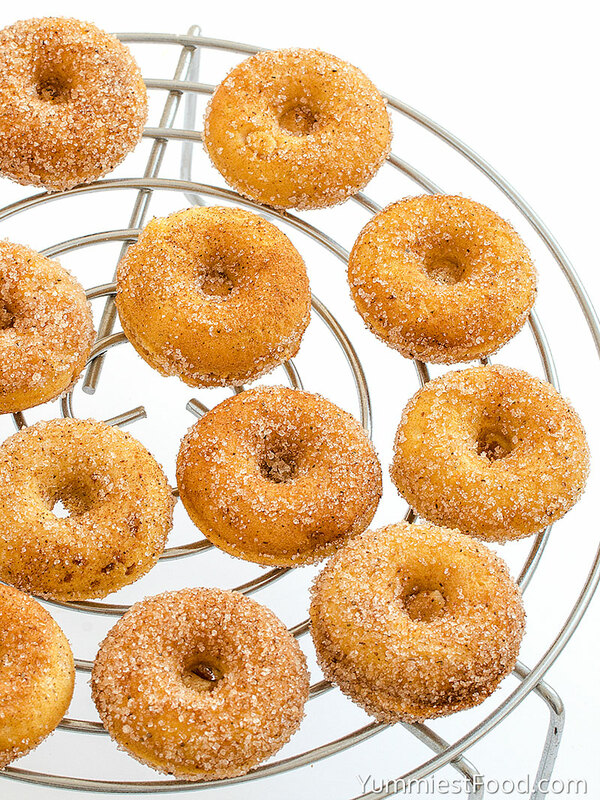 Very easy and soft donuts with cinnamon sugar and their taste will leave you speechless! Today, I make pumpkin cinnamon sugar donuts with my children, real sweet pastime, but I am scared that there won’t be enough donuts, because my children eat them immediately. Enjoy with your family in good and delicious food! Quick and so tasty donuts everybody love and they are finish for a few minutes. Pumpkin cinnamon sugar donuts I like the most and I am pretty sure that this is the perfect combination. 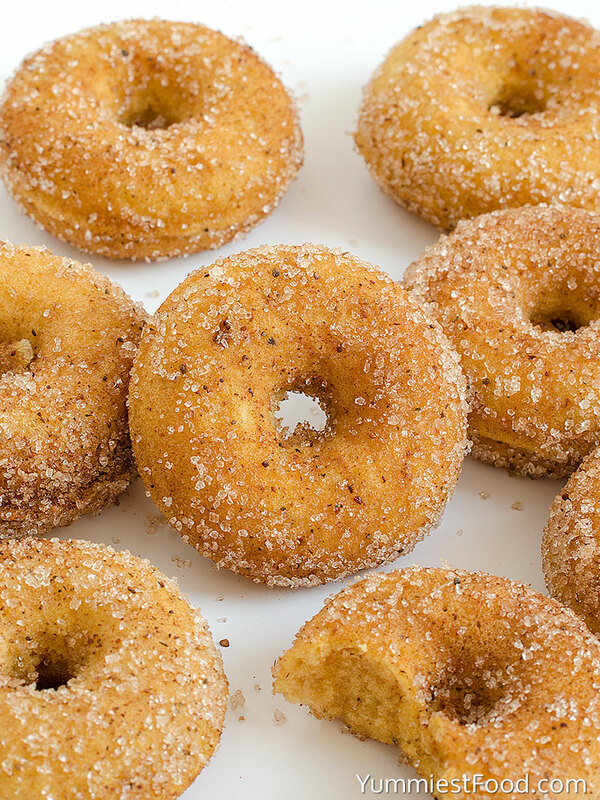 Pumpkin cinnamon sugar donuts, you will love it at first bite. It is very delicious but it has the simplest ingredients and it is so moist and nice. To prepare this donut you have most the ingredients at your kitchen and only you need to buy is Pumpkin so go for it! I bought it too! I don’t like autumn very much, but there is something that makes me happy. I love vegetables and fruits which grow in this period of year. The queen of autumn, pumpkin is coming and with her there are so many delicious recipes which will make magic in your kitchen. These recipes will warm your body and you can make a decision if you want to make something sweet or salty. Every way you choose you won’t make mistakes because pumpkins are delicious. 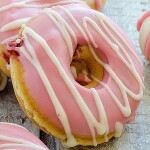 Everyone has their own recipe for donuts, but this one is nothing like you have seen before. I am not an expert, I am only a person who loves cooking and I enjoy in it. I made recipes which my family likes, I try many different combinations and on that way I made perfect recipes. I often prepare these pumpkin cinnamon sugar donuts because you can make them very easily and quickly. 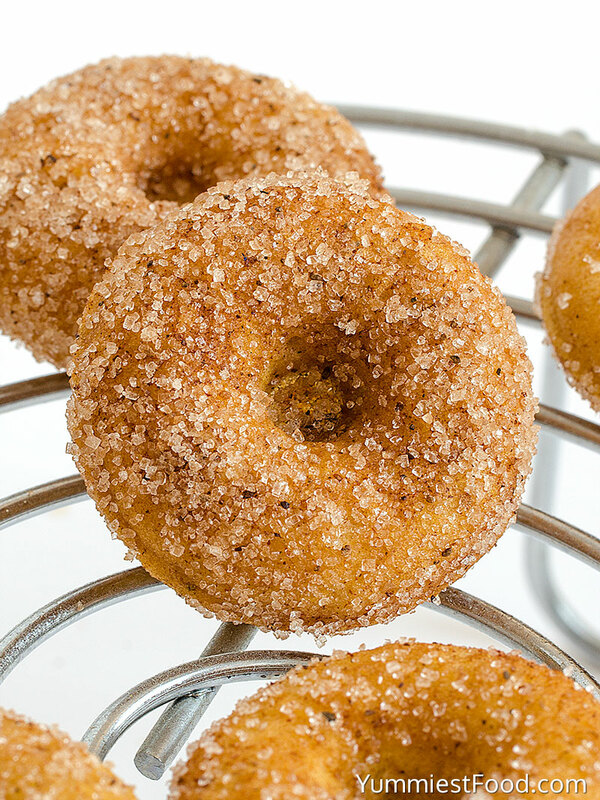 My children are crazy about these donuts, especially with pumpkin cinnamon sugar. The simplest things are the best! If you want to make something easy, quick and delicious you are on the right way. Enjoy! In a large bowl, beat the vegetable oil, eggs, sugar, pumpkin, milk, cinnamon and baking powder until smooth and well combined. Add the all-purpose flour and stir until just combined. While the donuts are cooling, melt butter in one bowl and combine the sugar and cinnamon in another. When donuts are still hot, use a pastry brush to spread a thin layer of butter onto each donut before dipping each into the cinnamon sugar, then roll them in the cinnamon sugar mixture; repeat until all donuts have been covered. 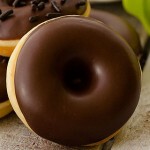 These donuts are best eaten the day they are made. Yes Sammie, these are mini donuts and you can get 16-18 pieces. Enjoy!